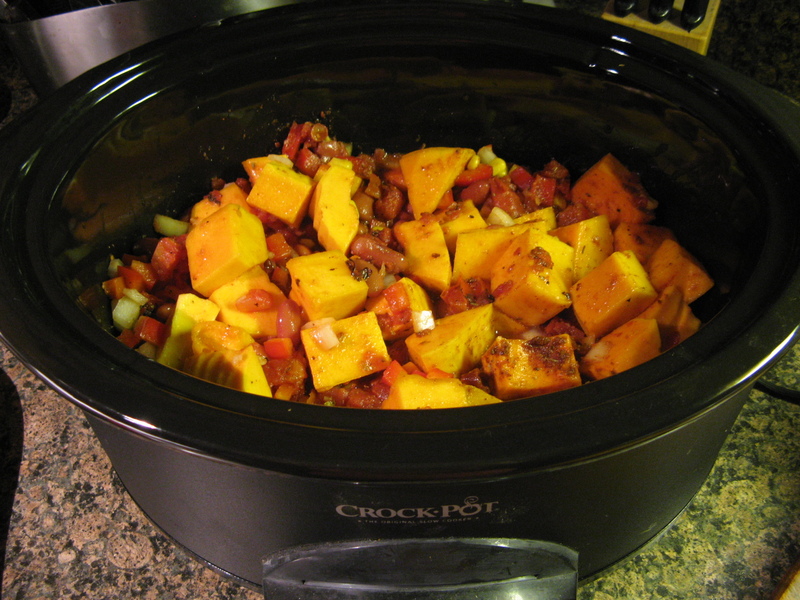 For today’s Slow Cooker Sunday dish I bring you one that is great for all you vegetarians who like a little kick to your dishes and also for you meat lovers who want the heartiness of your typical beef chili but want to take a break from the meat… A Slow Cooker Vegetarian Chili that has butternut squash, beans and corn as its main ingredients. 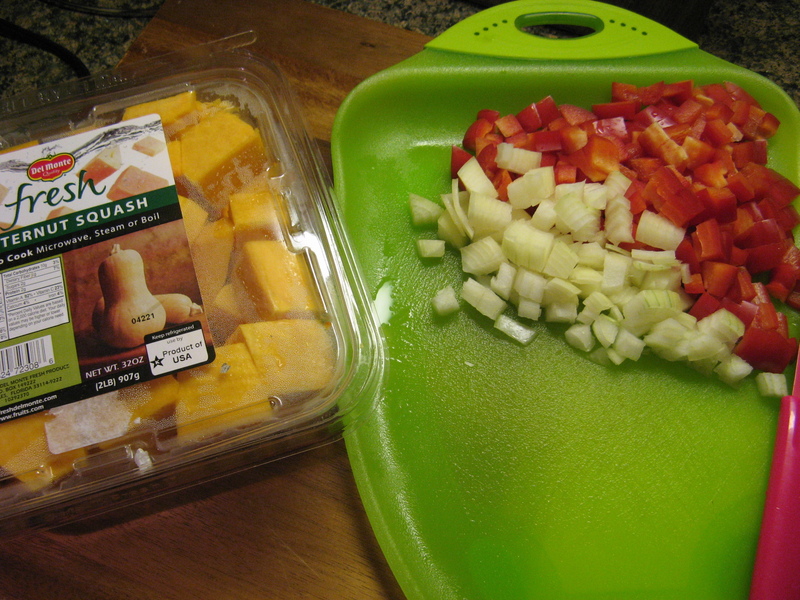 To begin I diced a red bell pepper and yellow onion. I opted to go the easy route and bought the butternut squash already chopped. 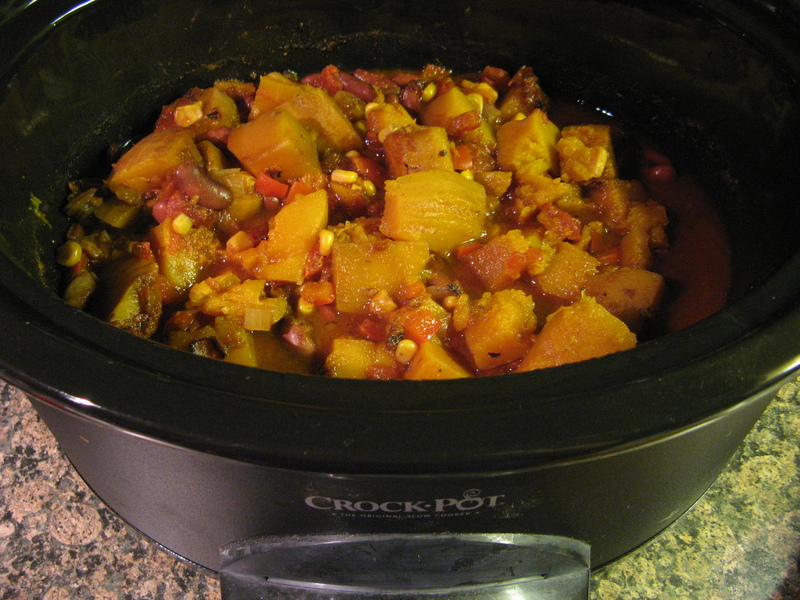 You really don’t want your butternut squash to be chopped too small as it will break apart while in the slow cooker. Next, I added the diced vegetables along with kidney beans, vegetable broth, corn, fire roasted diced tomatoes, garlic and the following spices; cumin, chili powder, smoked paprika, oregano, salt and pepper. I also added in two minced chipotle peppers in adobo. If you want to turn down the heat on this dish you can omit the chipotle peppers. I set my slow cooker to low for 8 hours. Truthfully this chili was probably done closer to 7 hours, but, I didn’t mind the texture of the veggies due to the extra cooking time. Can I just say I love butternut squash and how sweet it gets once cooked. In this dish the sweetness was a perfect balance to the heat! Place all ingredients in the bowl of a 5 -to- 6 quart slow cooker and cook on low for 7 to 8 hours or on high for 4 hours. I have made pumpkins chilly but never thought to use squash. Great idea. Thanks! Butternut squash gets a great sweet taste when cooked.